The del Lago Resort & Casino is officially hiring. On Monday, the resort announced that they were officially seeking 480 trainees for table games and poker dealers. The casino will house 1,800 jobs once opened in February and will feature 2,000 slot machines. 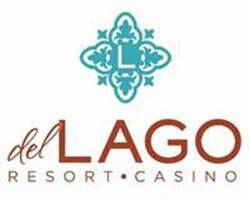 del Lago will be holding two information sessions for those who might be interested in deciding whether dealing at the casino is an ideal career path for them. Those interested do not need table-games experience, and for those who attend the information sessions — it will provide an opportunity to meet leadership at the resort. 2-8 pm on Sunday, August 21, at the Magee Firehouse — located at 1807 State Route 318, Seneca Falls, NY. 2-8 pm on Wednesday, August 24, at the Clyde Firehouse — 15 Ford Street, Clyde, NY. After the information sessions, interested candidates will be able to apply for admission into dealer school. After being selected and successfully completing the dealer training school, they will have the opportunity to apply to and audition for a job as table games or poker dealer. The $440 million 205-room hotel, spa and casino will include a banquet facility, several restaurants, lounges, 2,500 person entertainment center and other world-class amenities. Del Lago Resort & Casino will feature Savor New York, a unique retail outlet where local vendors will bring the Finger Lakes region directly to del Lago patrons with a wide variety of local fruits, cheeses, baked goods, wines and beers, and other area specialties. The casino will feature 2,000 slot machines and 85 gaming tables, including 10 poker tables. Del Lago will create 1,800 construction jobs and 1,800 permanent jobs, and will generate more than $90 million annually for New York state and local governments. The resort and casino was awarded a New York State casino license in December 2015 and will open to the public in February 2017. For more information, visit www.delLagoResort.com.